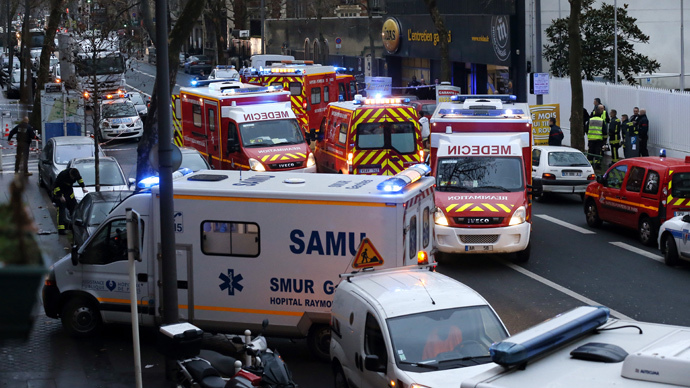 The deadly events that unfolded in France over the last week may be the first in a wave of attacks to strike Europe, a German daily reports, citing NSA intercepts of communications between Islamic State (IS, formerly ISIS/ISIL) leaders. Paris was marked as the first in a series of European cities to be attacked, including Rome, the report in the German tabloid Bild read. However, the article didn’t furnish details of a concrete plan to launch an attack. The US National Intelligence Agency (NSA) also reportedly had information that Cherif and Said Kouachi, the brothers who carried out the mass shooting at the French satirical weekly Charlie Hebdo, had contacts in the Netherlands. Police were said to have been put on high alert after intelligence learned that Amedy Coulibaly, the terrorist who killed a policewoman on Thursday in Paris and another four people in a kosher supermarket in Vincennes on Friday, may have activated sleeper cells which aim to attack law enforcement, CNN reported. In a slickly produced video released online, Coulibaly swears allegiance to “Caliph Ibrahim”, also known as Abu Bakr al-Baghdadi, the self-proclaimed IS leader. Despite Coulibaly’s declared allegiance to IS, Cherif had earlier claimed he was trained and financed by Al-Qaeda in Yemen. On Saturday, one of the Al-Qaeda leaders in Yemen, Harith al-Nadhari, posted a video online threatening France with vengeance. "Soldiers who love Allah and are His messengers are amongst you," he said. "They do not fear death. They seek martyrdom in the name of Allah." Police are still searching for Hayat Boumeddiene, the girlfriend or possibly wife of Coulibaly. Although the 26-year-old had initially been described as being armed and dangerous, security sources later said that she wasn’t in France at the time of the attacks. Police initially suspected Boumeddiene may have played a role in organizing the Paris attacks. Turkish security sources, however, told AFP that she arrived in Turkey on January 2, and had since likely moved on to Syria. At least 20 people, including the three attackers, were killed in a spate of attacks in and around Paris this week. Following the bloody culmination of events on Friday, French President Francois Hollande warned that the threats facing France were not over.